When I tell people I’m a writer, inevitably there comes some questions that are really hard to answer. Well-meaning people ask me questions that NO ONE WOULD ASK ANYBODY ELSE*. I thought my fellow writers could sympathize with this list, and the non-writers can understand why these types of questions bug us. Enjoy! 1. Have I read something you’ve written? I know this is well-meaning, but for me, I stand there dumbstruck, thinking, am I supposed to list off my resume to you? Do you read magazines? I just MET you. I have no idea what you’re reading. There are like a million things to read in this world. 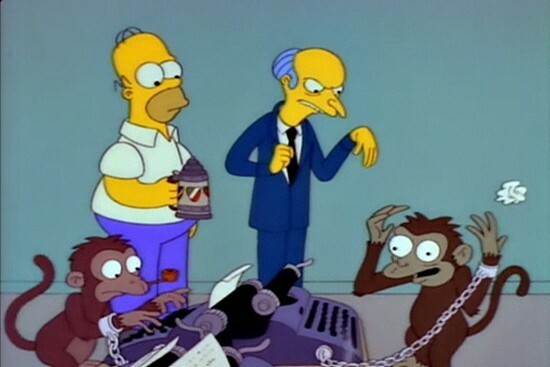 I would like to tell you that I have an idea machine that generates ideas or Simpsons writer monkeys that do most of the work for me, but the truth is, I write things down that interest me. I know that’s not the sexiest answer, but it’s the truth. 3. You went to school for writing. Why did you do that? Thanks. While you’re at it, just slash my tires. 4. Can I read something you’ve written? I’m not trying to be a jerk, but I have a very short list of people that are my beta-readers, meaning people who read my work before (hopefully) the public reads it. 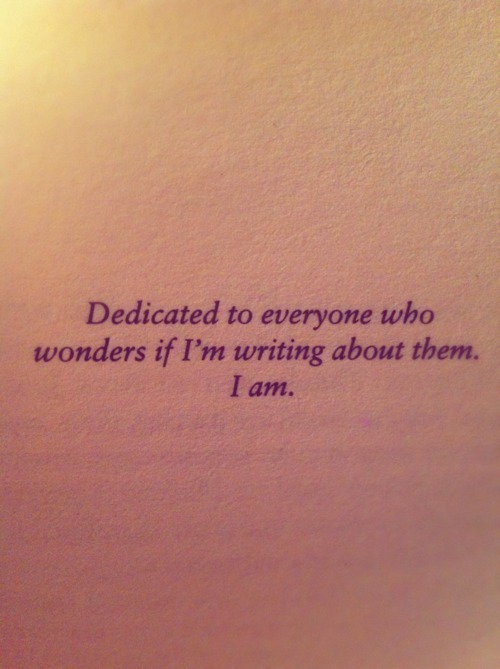 Writers, if you haven’t guessed already, are neurotic, insecure people who just want everyone to like their writing. When asking for feedback, our dream scenario is that you read it and say, “This is brilliant. I couldn’t put it down. The only thing I found is a typo on page 7.” BUT in reality, we need constructive feedback from trusted readers and fellow writers. As much as we want a pat on the back and a gold star sticker, we need real feedback from people who love and know the genre we’re writing. For example, my TV writer husband still hasn’t read my latest YA book draft. Why? It’s not ready to be read by someone who doesn’t know the YA world. To an outsider, it may look like a pile of emoji poo. 5. My friend/boyfriend/next-door neighbor wants to be a writer. Can you help them? I’m happy to give advice and talk to somebody who wants to be a writer, but I can’t do anything for them. They need to do the work themselves. Also, if I help make a connection, please be sure that this person doesn’t screw up the networking opportunity by sending a script, then when you give feedback, says I think the script is fine. I don’t have time for fine. 6. I heard freelance writers can make $100K a year. I have no idea who this refers to. I am jealous, but no, if you’re in it for the money, please do something else. 7. My boyfriend is funny. He could be a comedy writer. Great! Comedy, to me, is one of the hardest things to write because you have to make a person laugh while moving a story forward. It’s like rubbing your belly and patting your head at the same time. I don’t know how the good comedy writers do it, but let’s all agree that it’s not easy. Try it some time and then get back to me. *Let me state: We appreciate you talking to us nerds at all. If you want even more fun, I love this Electric Literature post titled “If Strangers Talked to Everybody Like They Talk to Writers.” It’s hilarious.